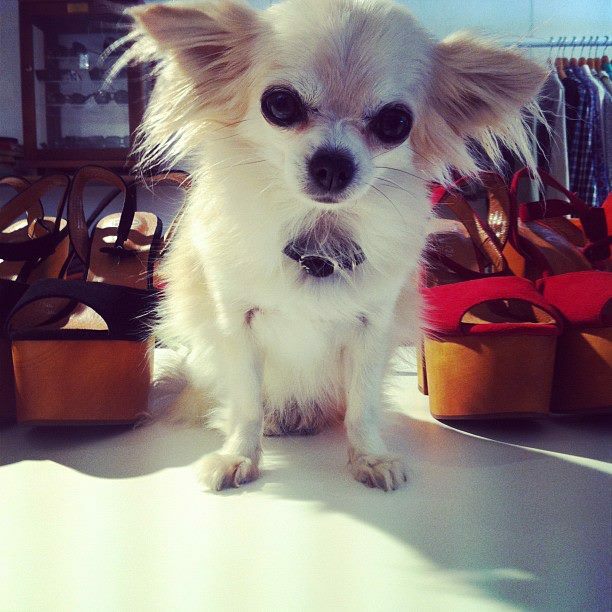 Meet Chiquita Margarita, A young Chihuahua with a serious sense of style. Don't be fooled by those puppy dog eyes, life’s not all sleeping and eating chicken for this career driven pooch, Chiquita is a working girl and spends her days accompanying her mum, Callie to work at designer fashion boutique, Alterior Motif. We were lucky to recently catch up with the trend setting Chihuahua to get an inside look at what life’s really like being Chiquita Margarita. Q: Hey Chiquita, when did you first become a style icon at designer fashion boutique, Alterior Motif? A: Well to be honest I got Callie the job. We would go coffee-ing then shopping at Alterior Motif – I would work my magic with the customers and look uber stylish in the store while Callie got to shop and get to know the owner, Penny. Penny adores me so offered Callie and I a job. It was a package deal. I suppose the style icon came with the job title. Q: Tell us about a typical day for you at Alterior Motif? A: Well it starts at 10am for us here on the Sunshine Coast. I get carried through the cinema in my basket; but I walk myself to the door. Then we chat to people who come in and I do my best to get as many pats as I can. I check on people in the change rooms too, but I mainly meet and greet at the door. We play with clothes all day – it’s a lot of fun. Sometimes I go for a walk outside, everyone knows me so I get lots of attention outside too. I also enjoy begging for food at the nearby café. We go for a walk at lunch and then I get lots of treats for being such a good girl and sleep in my basket. 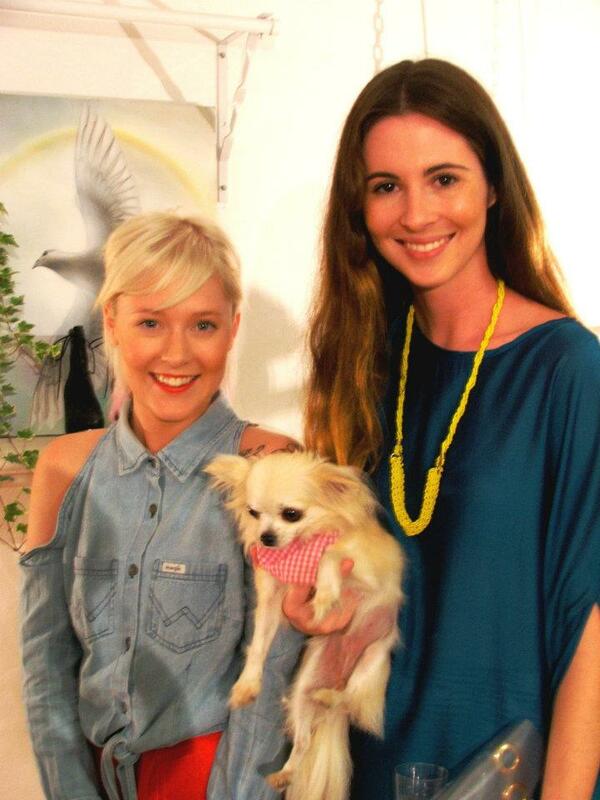 Q: Besides your Mum, Callie, who woof you say are your biggest style icons? A: I really admire Boo – the cutest dog in the world. If you haven’t heard of Boo then you should Google it. He is my inspiration. It says so on my Facebook page. Q: How do all the customers react when they first meet you at Alterior Motif? A: Most are surprised at what a brave girl I am for a Chihuahua. I like to think of myself as the icebreaker. We work in a beautiful boutique with one on one service. I help make the customers feel at ease and create a talking point. Everyone loves a tiny dog. Just ask me. Q: How do you think the business benefits from having you on the team? A: I make sure I greet every customer. It’s pretty nice to have a Chihuahua say hi when you enter a store don’t you think? (yes Chiquita we totally agree!!) I really make people stop and come in to say hi and have a chat with Callie. I also help our graphic designer out the back work on our web store. She really enjoys patting me while she works. It makes her happy. Q: Other than being a trendy Chihuahua, what other hobbies do you like? A: Oh I really love to bury myself in blankets and clothes, play with socks, and sun-bake. Oh and eat chicken. Just say the word and I am yours! Did you say chicken??? Q: Finally, would you have any style advice for all the fashion conscious pups reading? A: Keep true to your own style. Callie would have me in an outfit everyday – but I keep to the basics, a bandana every now and then, or a comfy jersey tee. Your greatest asset is your confidence. You can keep up to date with Chiquita and the latest fashions on the Alterior Motif Facebook Page. great story - more people should take thier pets to work!